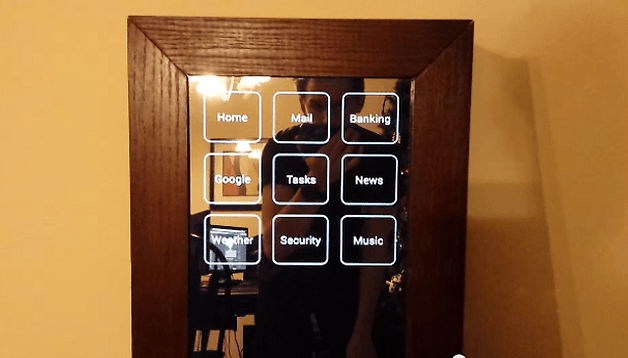 Smart mirrors have been around for some time now, but we still have a lot of respect for this Reddit user who made a homemade voice-controlled Android smart mirror for his bedroom. Click the video to see it in action. Reddit user Nick Nothom created this Smart Mirror as part of a science project. He said that some of the benefits include being able to immediately see the weather forecast when you wake up, or see if your devices have finished charging by just looking at your mirror. It all seems to work pretty smoothly, as Nothom issues voice commands that immediately to turn on music and activate Google search. Nothom created the mirror by mounting an LED IPS panel on his mirror, then connecting it to an Android Wear smartwatch using HDMI. In total, the project cost him $500, which isn't bad for a futuristic piece of tech. If you could use your Android phone using voice commands and your bedroom mirror, would you? Seems like a pretty novel idea to us, and not impossible to do by the looks of things.